Saudi Arabia announced Thursday the royal decision to re-open land border with Qatar to allow Qatari pilgrims to enter the kingdom without electronic permits. 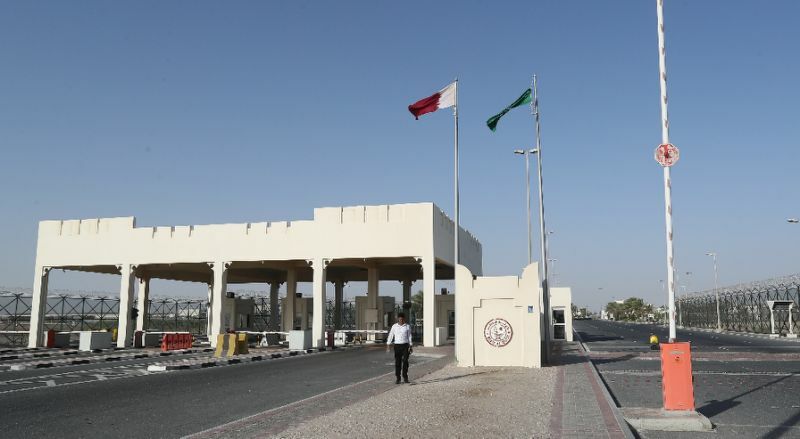 Saudi Arabia in June closed its Salwa border with Qatar after the kingdom along with Bahrain, United Arab Emirates (UAE) and Egypt severed ties with Qatar, accusing it of sponsoring terrorism and endangering their national security. The border reopening was proposed by Crown Prince Mohamed bin Salman after he met, for the first time since the beginning of crisis, with a Qatari official; Sheikh Abdullah bin Ali bin Abdullah bin Jassem Al Thani in Jeddah, Saudi media reported. Qatari pilgrims will be allowed to cross into Saudi Arabia and converge to the holy sites. The Saudi official news agency also announced that King Salman invited Qatari pilgrims to perform the Hajj at his expenses. The King reportedly directed that all Qatari pilgrims be transported from King Fahd International Airport in Dammam and Al-Ahsa International Airport as his guests. The King also gave directives that Saudi Airlines planes be sent to Doha airport to bring Qatari pilgrim as his expenses. Qatar officials have not responded to the Saudi Monarch’s invitation yet. Doha had earlier accused Saudi Arabia of dragging the religious ritual into the crisis. Saudi Arabia last month allowed Qataris to perform Hajj and Umrah but under certain conditions including approval by Riyadh of the planes to carry the pilgrims. Authorities have banned Qatari planes from their airspace. Qatar’s National Human Rights Committee (NHRC) demanded last Saturday that Saudi Arabia lift all land and air restrictions on Qatar-based pilgrims traveling to Mecca for the Hajj ritual, al Jazeera reports. The committee appealed to the UN to intervene but Saudi Arabia warned that internationalizing the Hajj crisis would be a declaration of war. Written by: KanelkaTagba on August 17, 2017. Posted by KanelkaTagba on Aug 17 2017. Filed under Gulf News, Headlines. You can follow any responses to this entry through the RSS 2.0. Both comments and pings are currently closed.